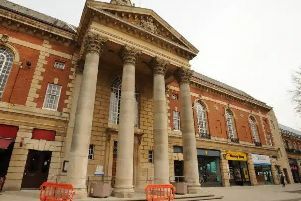 The Conservatives will have the chance to regain their majority on Peterborough City Council after a by-election was called. A vote on the vacant Orton Longueville seat will take place on Thursday, August 2. The seat was held by Conservative representative June Bull who resigned for health reasons, leaving the Tories one short of a majority. Before the resignation they had held 31 of the 60 seats on the council. Following May’s local elections, which saw Cllr June Walsh defeat UKIP’s John Okonkowski, the Conservatives held all three seats in the ward. By-elections are only called after the council receives two requests from electors, which has now happened. Although the Conservatives would remain comfortably the largest party should they lose the by-election, and would have little difficulty in winning votes, the result would change the political balance of committees, with more opposition councillors being included. The first of the by-election candidates are expected to be announced shortly.